After legalizing sports gambling for eighteen year olds in Rhode Island, the state is considering mobile expansion. The Rhode Island state Senate permitted a bill which would allow mobile sports gambling in the state, but the state Senate isn’t the only branch attempting RI mobile wagering as the House has their own mobile betting bill currently in reading and awaiting its vote later on in February. These expanded wagering bills come well after Rhode Island legalized state-regulated and licensed sports betting. The mobile sports gambling bill currently in the Senate would require first-time mobile bettors to register for an account on location at either the Twin River’s Lincoln or Tiverton casino. This in-person registration allows the casino to screen the bettor’s ID to check for a valid age minimum requirement of at least 18 and that the individual is not included in the database of problem gamblers excluded from gaming. The bill, SB 37, passed the Senate 31-4. Sen. Sam Bell, one of the bill’s opponents, argued the current bill provided the Twin River casinos with a monopoly over the sports gambling market, “We would be giving a monopoly on online sports gambling to an existing business, Twin River, creating a monopoly in the state of Rhode Island”. He also argued that mobile gaming should be implemented in a competitive marketplace. Under the House version of the mobile sports gambling bill sponsored by House Speaker Nicholas Mattiello, a lawyer representing DraftKings recommended the allowance of multiple sports gambling vendors for wagering apps to allow fans options and avoid a monopoly. This, of course, was an effort for DraftKings to provide their readymade betting app services to Rhode Island. Under Senate Bill 37, mobile betting would include domestic and international professional and collegiate sports. However, Rhode Island collegiate teams are excluded from Rhode Island sports gambling options. 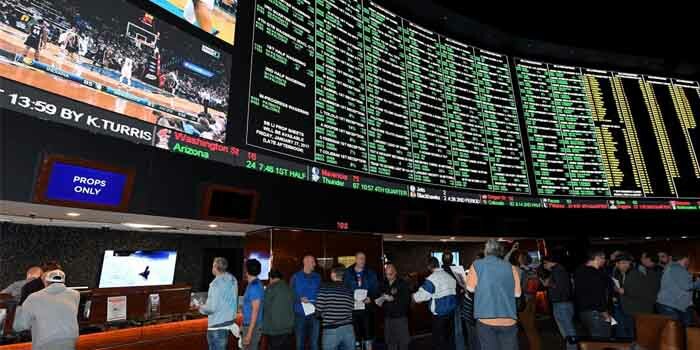 Bettors can use licensed offshore online sportsbooks to bet on domestic RI collegiate teams legally. The Senate Bill in consideration meets current DOJ intrastate gaming standards. These new standards require all of a gambling business’s related equipment for data, servers, and information to be hosted within the state the business is legally operating in. Another Senator favored SB 37 but was concerned about the application of the state’s constitution to the bill. Sen. Donna Nesselbush was concerned that the state Supreme Court could interpret SB 37 to fall under the expanded types of gambling forms detailed under the state constitution to require a voter referendum. This would halt legislative action and place the future of Rhode Island mobile sports gambling for 18-year-olds in the hands of voters and voters alone.